Here we are - off my To Do list at last! A collection of short stories, some featuring Scottish Georgian detective Murray of Letho, some not; some seen before, some not; some long, some very short. Find a whole new dimension to car theft, the life history of an unfortunate Victorian rebel, a problem with dragons and a problem with draugens, and what happens when you advertise that you’ve found someone’s leg. 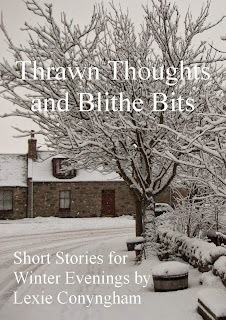 It's just on Kindle for now, but should be out on Smashwords and Kobo soon. Hope you enjoy them! Who needs to track changes?